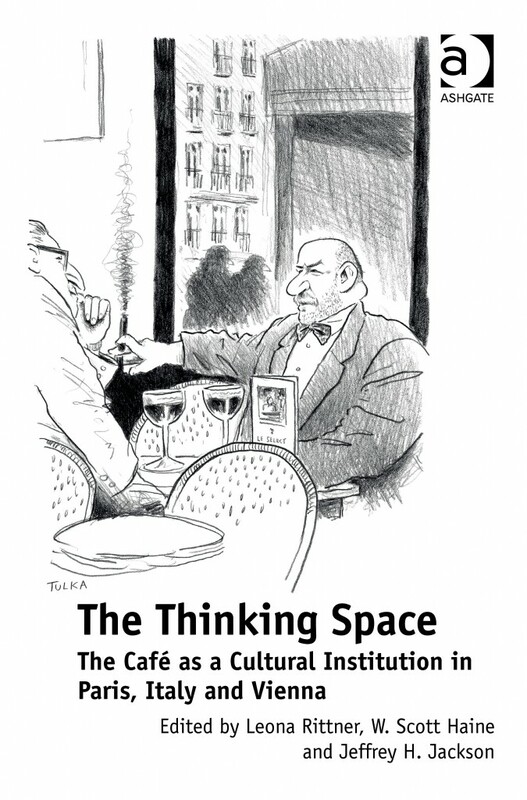 “The Thinking Space: The Café as a Cultural Institution in Paris, Italy and Vienna” – free book giveaway to 1 subscriber! Subscribers, The Thinking Space: The Café as a Cultural Institution in Paris, Italy and Vienna edited by Leona Rittner, W. Scott Haine, and Jeffrey H. Jackson. A $124.95 value. Free book giveaway to 1 subscriber ends September 15, 2015. Excerpt: “The Thinking Space: The Café as a Cultural Institution in Paris, Italy and Vienna (Excerpt, Part One) published on A Woman’s Paris®. The café as an institutional site has been the subject of renewed interest amongst scholars in the past decade, and its role in the development of art, ideas and culture has been explored in some detail. However, few have investigated the ways in which cafés create a cultural and intellectual space which brings together multiple influences and intellectual practices and shapes the urban settings of which they are a part. This volume presents an international group of scholars who consider cafés as sites of intellectual discourse from across Europe during the long modern period. Drawing on literary theory, history, cultural studies and urban studies, the contributors explore the ways in which cafes have functioned and evolved at crucial moments in the histories of important cities and countries – notably Paris, Vienna and Italy. Choosing these sites allows readers to understand both the local particularities of each café while also seeing the larger cultural connections between these places. A Woman’s Paris is a community-based online media service, bringing fresh thinking about people and ideas that shape our world and presents a simplicity and style, in English and French. Connecting with you has been a joyous experience—especially in learning how to enjoy the good things in life. Like us on Facebook. Follow us on Twitter. Share us with your friends. would love to have this book to remind me of all of those wonderful cafes. Thanks. I do love the cafe aspects in Europe. Somehow in the States, we prize the turnover and bottom line vs the of honoring open-ended discussions on politics and ideas. This would be such a nice gift for my husband, who is the penultimate coffee house customer. Long time appreciators of those in Paris and Italy, we’ll be checking out coffee houses in central Europe soon. It is hard to think of a better way to share ideas: in a café where free association of ideas circulates among friends and peers. Concepts are cemented, actions and movements begin to take form, new perspectives are considered and given merit. Leave a reply on "“The Thinking Space: The Café as a Cultural Institution in Paris, Italy and Vienna” – free book giveaway to 1 subscriber!"